Congratulations for being a parent who cares about their children's reading material. Testing has shown that children who play Frog's Princess exert themselves to read ahead of the voiced dialogue, improving their reading skill and vocabulary. They are highly engaged with the story, and some are intrigued by its ethical elements. Frog's Princess is a storybook app which is being made to be played on all major phones, tablets, and computers. It takes two hours and forty-eight minutes to play the entire story through, if players don't explore dialogue alternatives as they go. Players have the option of changing what the prince and princess say, to create a unique version of the story, exploring the additional five hours of dialogue included in the app. The story is a middle grade adventure with magical elements, set on the fairy tale route in medieval Germany. Princess Emma is waiting for her prince to come. She doesn't expect him to arrive as a frog. Prince Francis can't even be a frog very well. He'll do anything to save his bodyguard - even kiss a princess. How do I help my children play? During playtests, it was the children whose parents stood with them for the first ten minutes of play who became most strongly engaged with the game. The first choice children make is which game to choose. If they are more interested in the story from the prince's point of view they should choose the frog. They will miss out on the Princess's interactions with her sisters at the beginning. If they are more interested in the story from the princess's point of view they should choose the princess. They will miss out on the Frog's interactions with the Princess's sisters in the middle. The next choice is whether to play the short or long version. Impatient children who just want to find out what happens should choose the short version. They will miss out on jokes and emotional events but they will find out what happens. Children can always go back and start a new game. They don't have to play every chapter, scene and page. They can navigate to any part of the story they want. The most important choices children make are how their characters speak. Whenever there is a coloured speech balloon , this may be clicked to bring up a scroll of 10 different personalities. Players click a personality and hear a different version of the dialogue. Their choice will be saved and the story moves forward using that personality until it is changed again. In this way, a unique version of the story is built. Pages can be navigated back to and changed at any time. Up to five games can be saved. Some children choose a personality and stay with it throughout the story, not exploring alternative dialogue. 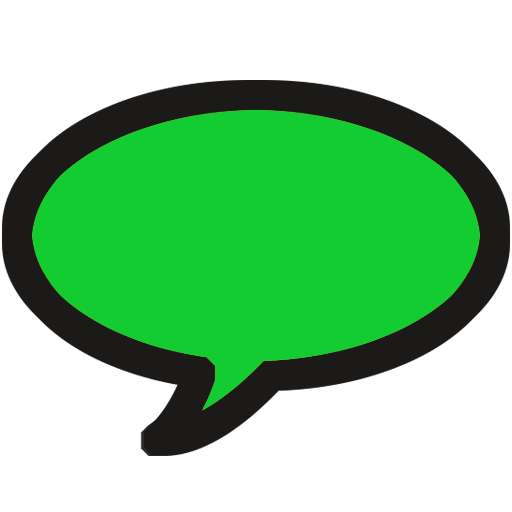 Encourage them to click the speech balloon and experiment with different character dialogue. If children find the music too loud, or prefer a different sound mix, go to Home (the castle at the top left), Options, and change or mute the volume of music, dialogue, or sound effects. How to play Frog's Princess from Kathy Smart on Vimeo. So as they play, children are creating a story with heroes speaking the way they want them to speak. Children can go to any point in the story at any time using the navigation menu on the top right. Children can stop at any time and start a new story, or go back to an old story, by going to the Home menu on the top left. Who should play Frog's Princess? What can I share with my child? Children react to the strong emotional fairy tale elements - a daughter trying to evade evil without the help of her mother, older sisters who don't respect their sister, a father who does not at first recognise his daughter's worth, a loyal servant who sacrifices himself for his prince, a young prince alone in the world facing impossible odds to rescue his servant, a boy and a girl discovering they can talk to each other. Ask your children what was the saddest thing that happened. Ask them what was the happiest thing. Ask if they would do things differently if they were Princess Emma or Princess Francis. Ask them which princess personality (speech balloon choice) they liked best. Ask them which prince personality they liked best. Ask them why they think their favourite personalities react the way they do. Do you know anyone as active as Francis? / as sensitive as Emma? Do you think the King is a good father? Do you ever feel people aren't listening to you like they didn't listen to Emma and Francis? If you were Emma, would you have hurt Frog? What else could Frog have done rather than trying to force a kiss on Emma? Was Emma right when she said there should be no fighting? Do you think the witch was punished enough? Compare Frog's Princess with other versions of the fairy tale and design a family version. Print Frog's Princess journal pages and note down the main changes your family would make to the story. Make an origami frog for each family member and write their name on it. Since up to five story versions can be saved, make unique versions for each family member. Enjoy the journey of sharing this story with your children.